If you live in a home or apartment with a central air conditioning system, or even just drive a car, you’ve probably had to change an air filter at some point. Air filters help trap dust and other allergens from being circulated back into your home’s breathable air. Let’s take a look at how air filters function and how you can keep your air filter doing its job for as long as possible. Air filters, though simple, actually do quite a lot. They’re usually made from spun fiberglass set between a cardboard frame. 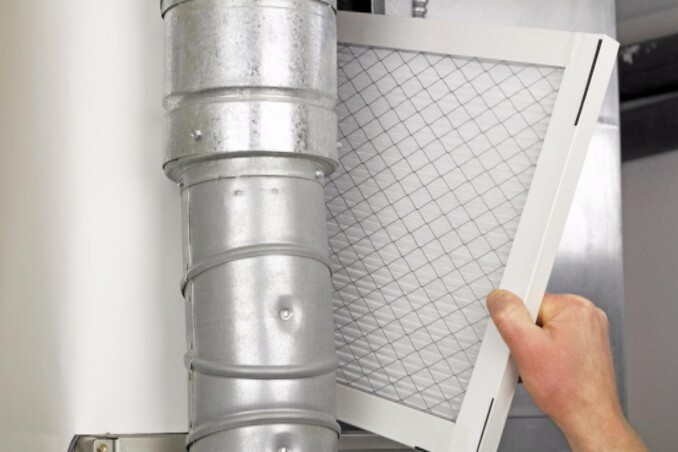 Filters helps keep your air cleaner by filtering the dirty air that is sucked through it by the HVAC unit. Your air filter, because it actively cleans the air anytime the HVAC is running, requires changing often to ensure that your air stays as healthy and free from particles as possible. A dirty air filter will not only allow allergens and other particles to stay in your home’s air, but it can also restrict the free air flow from your HVAC unit. This can significantly cut down on your unit’s efficiency and raise energy bills. Luckily, maintaining your air filter is as easy as cleaning or replacing it. An HVAC air filter should be checked every month and either cleaned or changed. A good rule of thumb is to hold the filter up to the light. If you cannot see light passing through the filter, it’s time for a new one. There are a number of problems that can stem from a clogged air filter. If you notice frozen evaporator coils or your unit isn’t cooling as well as it should, it could all be caused by a dirty filter that just needs to be changed. Understanding your HVAC equipment can help you identify potential problems in their early stages, saving you time and money later on. Contact the Spring AC repair specialists at Richmond’s Air today if you need to speak to a professional technician.